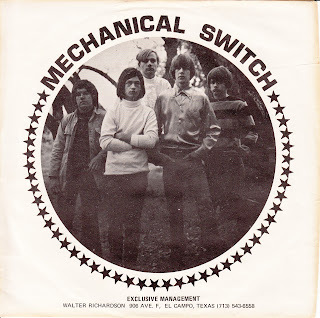 The core of Mechanical Switch began when friends Alan Meek and Leroy Shelton began playing guitar together at age 13. Alan had begun playing guitar two years earlier and he hastily taught Leroy everything he knew. Shelton learned very quickly, as he was just as obsessed with the instrument as Alan had been. About a year later the two became friends with Ben Dusek, who they convinced to become their drummer. Ben had no experience playing before an didn't even own a drum set. No problem, Ben's brother in law had an old kit that Ben could have. The three of them would spend a lot of time together. One day while out fishing, Ben suggested the band needed a name. While waiting for a fish to take the bait on his line, Alan thought of a light switch on a wall... "What about 'Mechanical Switch'?" After a few months of steady practice, the band started to gel. Eventually, Ben suggested they try out a friend of his named Bart as their singer. Bart was a perfect fit and even had the "look," long hair and stylish mod clothes. Bart quit the band he was currently with, and Leroy switched to bass guitar so that the low end could be covered. Within a years time from there, the band had become quite tight and were playing dances within a 150 mile radius of El Campo. 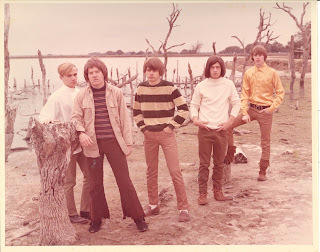 Being a psychedelic rock band with long hair in a South Texas farming town certainly caused its share of friction. 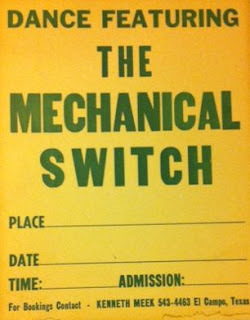 The occasional dance which would feature both a country band AND The Switch would certainly mean fights within the crowd. Despite these differences, Alan's parents were very supportive of his bands endeavors, his mother had been a musician in her younger days and she supported her sons interest in music. 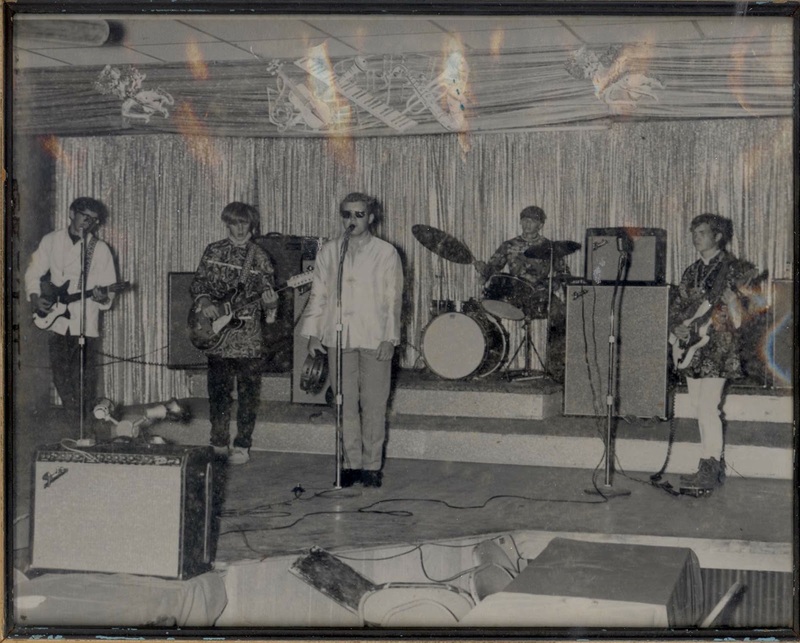 Both Alan's parents began booking the band for many of their dances and generally acted as the bands management. This was to change after an encounter at one particular show where the group was approached by a man named Walter Richardson who offered the band a contract to be their manager. 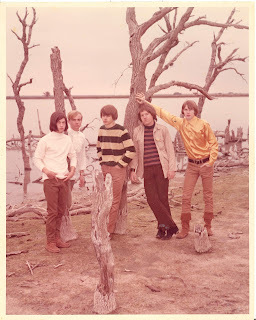 The band signed and shortly after he sent them up to Tyler, Texas to record with the great Robin Hood Brian, whose work Walter had been acquainted with due to his quality recordings made for Mouse & The Traps. By this point, Organist Mark Wenglar had been added to expand the bands sound. 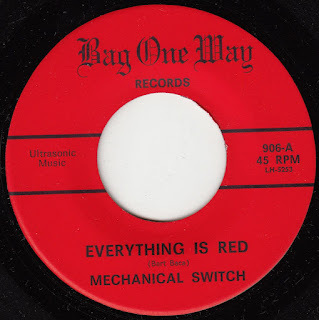 It took almost 5 hours to record the first song the band had prepared, an original Alan had written the music for called "Everything Is Red." Though they had brought down their own guitars, they were using the studios amps, drums, and organ. Unfamiliar with the new equipment and unable to turn up the amps loud enough for their usual distortion tone, they had to struggle a little to get the right sound. 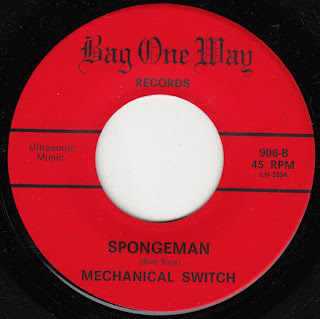 By the time they rolled around to the next song, a collectively written tune called "Spongeman," they were moving a lot faster and were able to knock it out within 30 minutes. Ironic since it was the song they slapped together in one rehearsal before going into the studio. Both songs were described later by Bart as "drug-love" songs: they both intended to describe the feeling of being a teenager who is intoxicated by his infatuation with a girl. 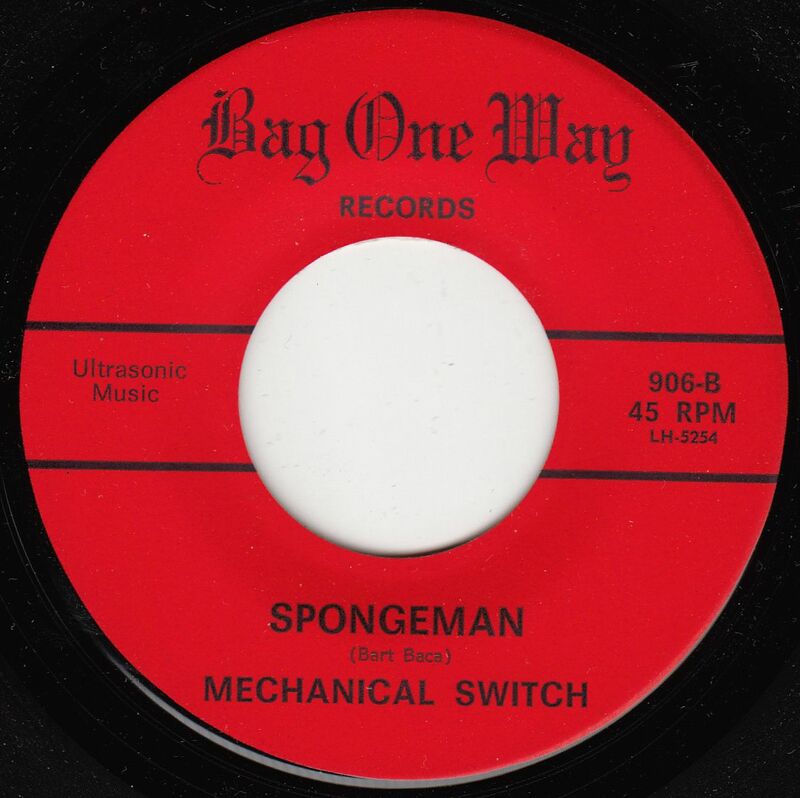 "Spongeman" is a tune about a boy who lives by soaking up his girlfriends love. Although it was difficult to get much radio time for their new single, the record sold quite well in the area and the pressing sold out. A year later, Bart and Mark were off to college while the rest of the band was still in high school. Later on Ben and Leroy both joined the army. The band was over, and most of the guys stopped playing music entirely. 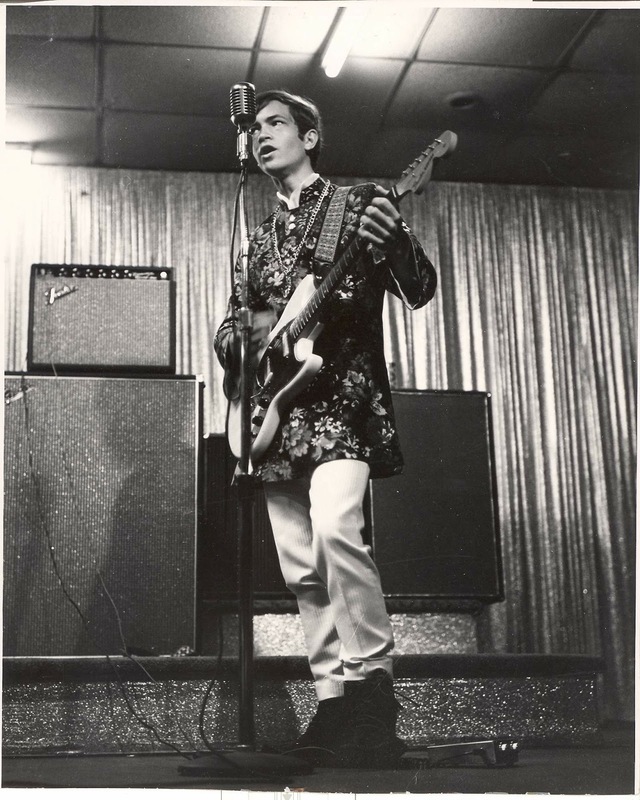 Alan continued playing with several groups afterwards, notably an outfit called The Experience which was based in nearby Wharton, where Meek had been attending college. Heaviness... any idea on a date? Nice pictures. The record was pressed by Houston Records around February, 1969.